A while ago, I was selected to review this Greenland Scrub Salt Lime & Vanilla by Shins. And I have been trying this a while. All Greenland products from the Fruit Emotion collection are two different essential oils. Each combination of essential oils has its own particular effect on the mind and body. 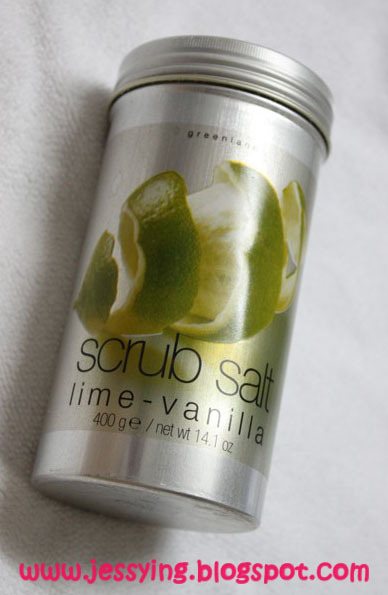 This Greenland Scrub Salt, Lime & Vanilla contains very fine 100% Atlantic sea salt and consists of lime & vanilla essential oils. 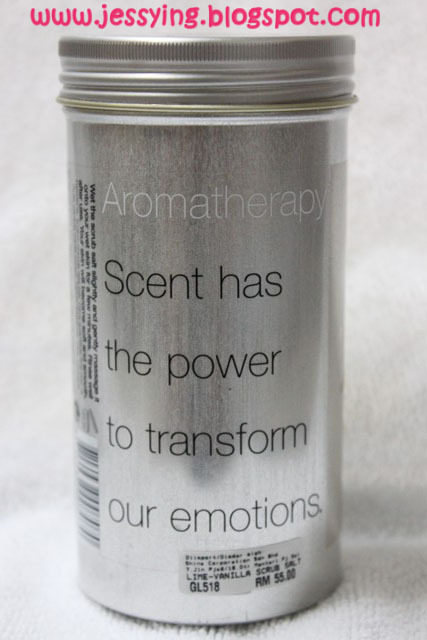 Ingredients: Sodium Chloride (Sea Salt), Citrus Aurantifolia (Lime Peel Oil), Vanilla Planifolia (Vanilla Extract), Parfum (Fragrance), Citral, Limonene. Once I twisted open the bottle, I can immediately recognized the lime smell. The salt came in dried form, and it is very fine in texture. Note : No spatula was provided in the packaging. And gotta becareful when scopping out the salt. However when I collected the product from the Shin Mid Valley outlet, the Sales Consultant advised me to to use it together with my shower for better result. So I decide to tried the both method to see the result. So I used a plastic spoon to scope out the salt and put on my dry skin and slowly add in some water. As the texture is very fine, the salt melt quite immediately as I scrubbed it on my skin. And the area of the scrub that I could cover is quite limited. 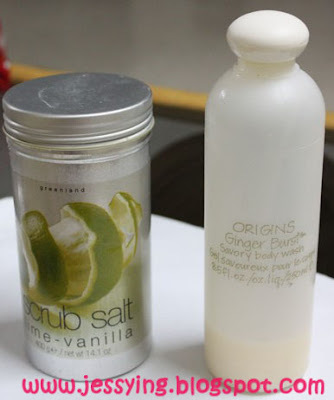 Here I used my favorite Origins Ginger Brust shower gel to try with the Salt. 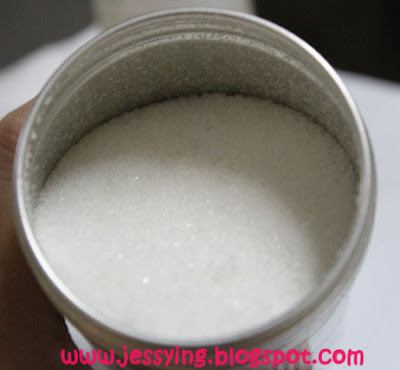 Here I could say that the salt does not melt immediately with my shower gel making it easier to scrub compare with the earlier one salt+water. I scrubbed in circular motion and slowly the salt melted and I washed if off with water. The above Greenland Fruit Emotions Scrub Salt Lime and Vanilla at available for sale at any Shins outlet for RM55 for 400g. 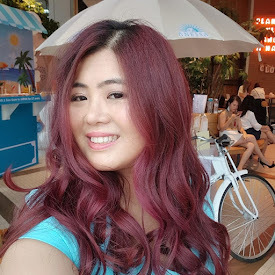 Note: The above product is provided by Shins Malaysia for the purposes of review in this blog. I am not affiliated or being paid for this review. first time I know it can be used with shower gel. I thought just used alone first then only shower gel.